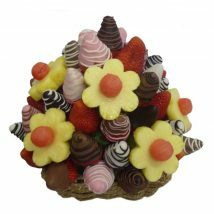 A cute and chocolatey flower bouquet that includes both pineapple and watermelon flowers and a mixture of decorative chocolate dipped strawberries. 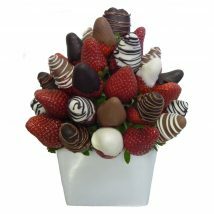 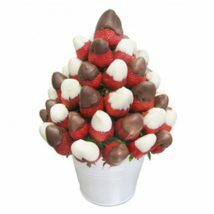 A cute and chocolatey flower bouquet that includes both pineapple and watermelon flowers and a mixture of decorative chocolate strawberries dipped in delicious white, milk and dark chocolate. 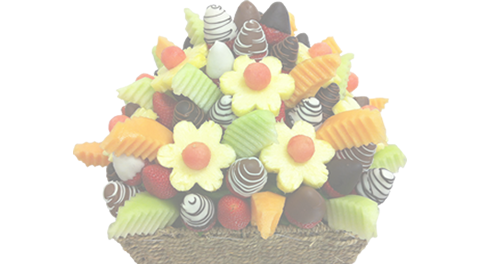 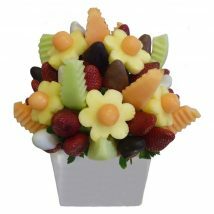 This fruity bouquet is a real treat and comes in a keepsake ceramic cube.